Everyone loves a holiday, and a holiday in the beautiful Seychelles is pretty high up on most people’s lists. 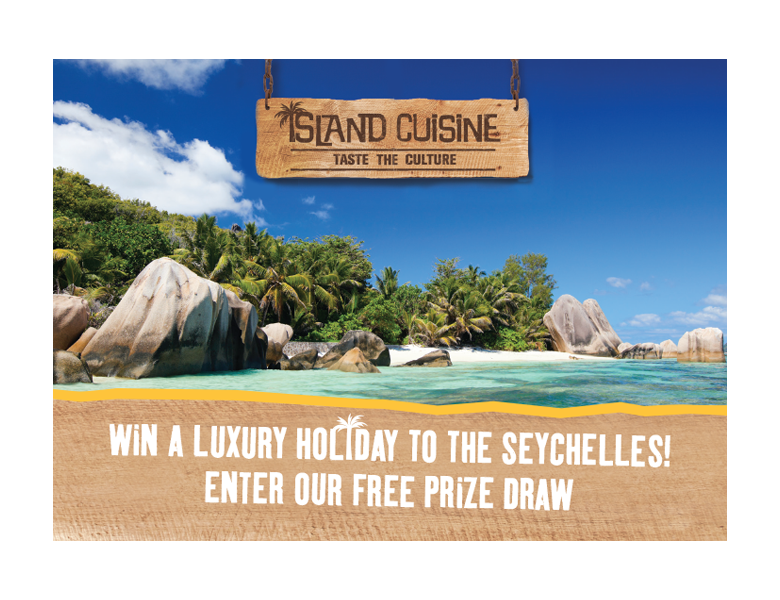 So, what better way to get them to enter a competition – and gather lots of customer data to boot – than by setting the scene with a postcard sent from the Seychelles? Handed out on the Island Cuisine exhibition stand, these cheeky little postcards grabbed lots of customer info. On top of that – thanks to our determined PR team, who negotiated everything from flights to five-star accommodation – it didn’t cost a single penny. So, it was literally win/win for one lucky customer and one happy client.